– there are some unsolved problems in the concept and its application? – Organizations, in spite of the « official speech », are very very far from that? One of the permanent criticism is that too much governance can kill agility, can kill innovation and adaptation. It is sure that governance concepts and techniques are mainly « mechanistic », and sometimes far from systemic and « organic » adaptation. Often too, within governance speeches, a « human » point of view is developed, but is it sincere or just « window dressing »? 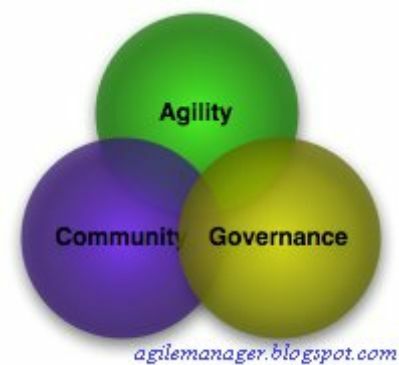 – Is governance, agility incompatible? May be, not? – SOX and management decommitment !!! CIO is just in the middle of all that. – How can CIO solve application challenges? Replace everything by an ERP ? Bridge everything with SOA and Web services? Good question. This entry was posted on avril 17, 2007 at 12:23 and is filed under Uncategorized. You can follow any responses to this entry through the RSS 2.0 feed. You can leave a response, or trackback from your own site.